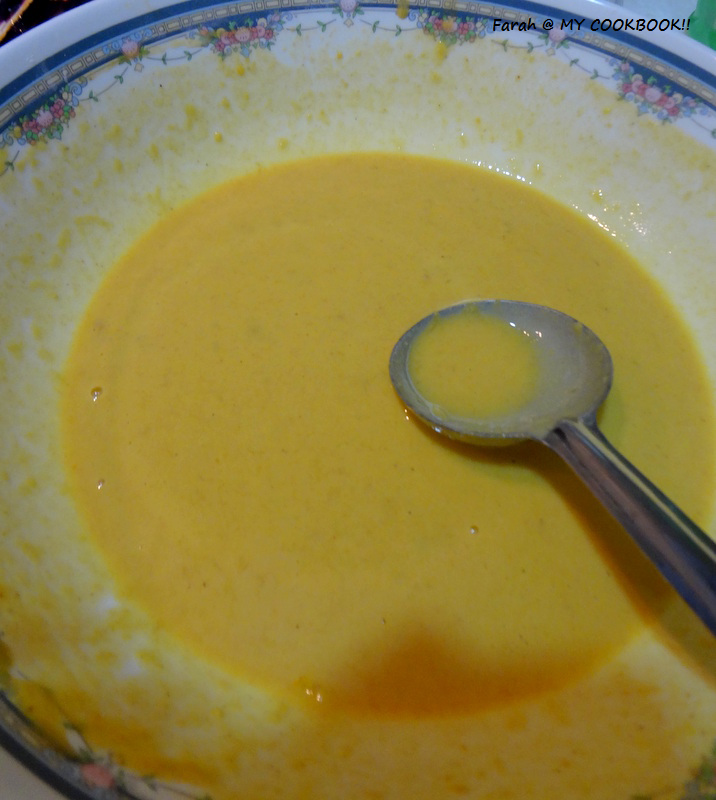 Combine all the dry ingredients in a bowl, and using a hand whish mix well. pour in the milk slowly as per needed, mixing well till you get the required consistency. dont overmix. 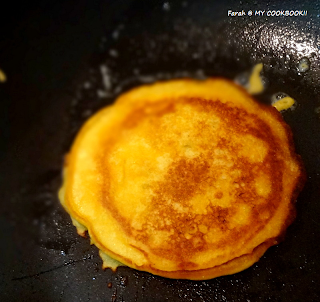 The batter should not be too thick or too thin. heat a non stick pan, and add some butter. 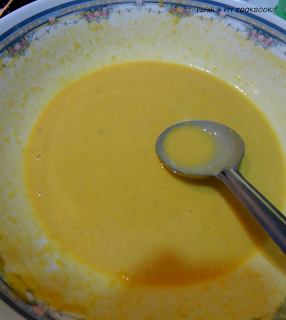 Take one ladle full of the batter and pour it on the pan. After few seconds you notice bubbles on top. Flip it to the other side. Serve with butter/ fresh fruit/ honey maple syrup / nuts or any topping of your choice. 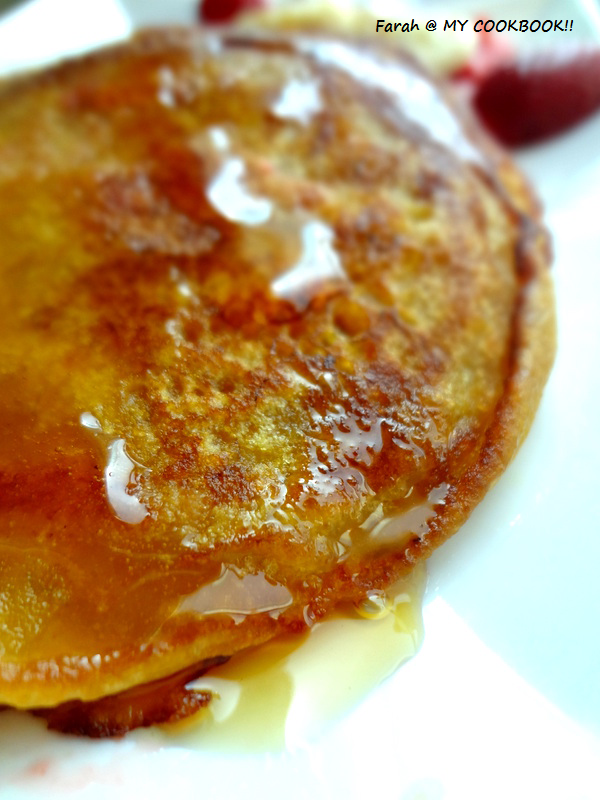 Me too great fan of pan cakes.Our way of making this banana pan cake is different. They look really fluffy, fresh and so yummy..have been wanting to try my hands on pancakes..this looks like a perfect recipe!! like your first click.. mouthwatery.. 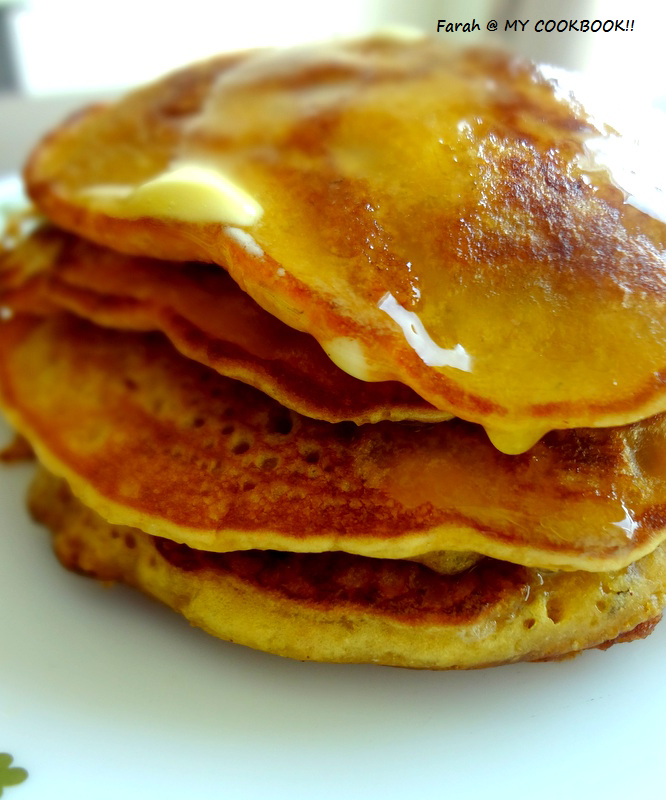 Wish to start my day with super soft and fluffy pancakes,drooling. Very soft & healthy pancakes!! Oh my! 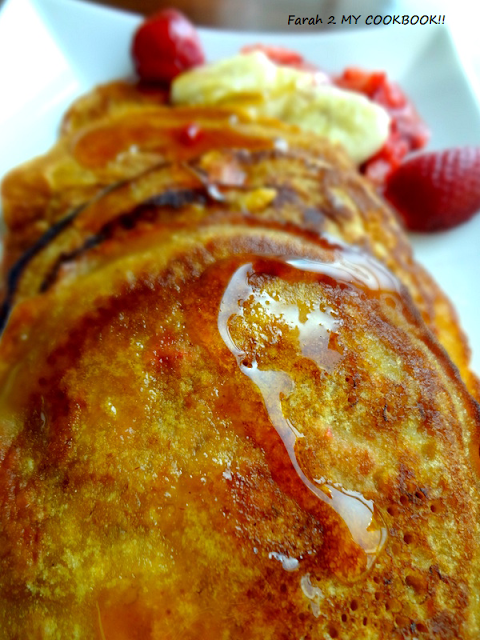 These pancakes are so mouthwatering! I'm drooling just by looking at all the delicious pictures!